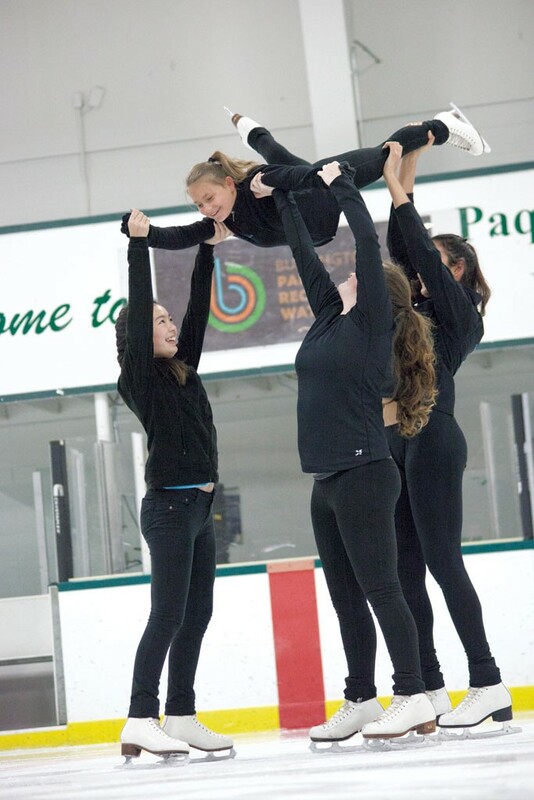 Theatre on Ice | Fit Families | Kids VT - small people, big ideas! It's early. So early that the moon's still bright and stars twinkle over Leddy Park Arena in Burlington. The 10 skaters of Vermont Children's Theatre on Ice have just arrived to learn routines and drill jumps, turns and spins. And, on this October morning, practice the twist. "It's not wagging your tail," says co-coach Martha Harding, a 40-year veteran skating coach decked out in a stadium coat, fleece headband and knit gloves. "It's shoulders against hips, so your hands move opposite your feet." She shimmies while she talks. Troupe members — nine girls and one boy, ages 9 to 19 — are working on their choreographic exercise, the two-and-a-half-minute program they will take to the National Theatre on Ice Competition in Massachusetts next June. It requires them to tell a story without speaking — and without the help of costumes, makeup or props. They'll get to use those last three things in their 5-minute program, known as the free skate. These skaters are dedicated. In addition to this once-a-week hourlong practice at 5:50 a.m., they commit to weekly lessons and practicing on their own. Their hard work has paid off. The troupe won first place at nationals in 2006 and third place last year. In 2010 the kids traveled to France to compete against teams from other countries in the invitation-only Nations Cup. Pretty impressive for a small state, which happens to be the birthplace of Theatre on Ice in the United States. VCTI, started in 1996, is the oldest troupe of its kind in the nation. Founder Nancy Fillebrown is still the team's other co-coach. 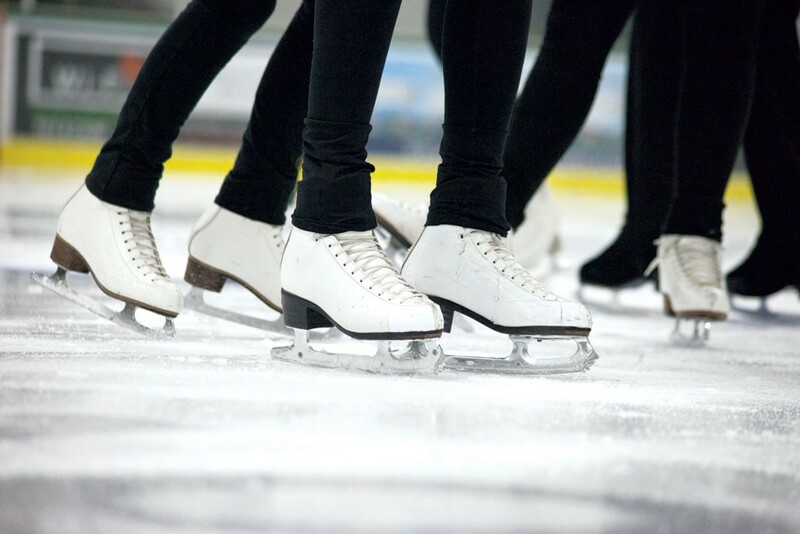 Theatre on Ice is a team sport that combines skating, drama and dance. It sprouted from a Project Harmony exchange that brought Russian ballet on ice performers to Vermont in 1991. Vermont skaters visited the same troupe in Moscow 10 months later, brought the theatrical style home and introduced it to U.S. Figure Skating, the sport's national governing body. USFS now sanctions and governs Theatre on Ice competitions, which have grown in popularity and include adult and child divisions. Six teams participated in the nation's first competition at the University of Vermont in 1996; 65 teams competed at nationals last year in Michigan. The team aspect is a big part of the appeal. Figure skating is a very individual sport — kind of lonely, Harding says. With increasing pressure to land jumps and perfect spins, skaters tend to lose interest and drop out as they get older. Theatrical skating keeps them involved. "There's a place for everyone in Theatre on Ice," says VCTI team manager Sharron Scott. "You don't have to be the best jumper; you don't have to be the best spinner ... You can have a child that lights up the arena with their smile ... and that makes a huge difference." Any skater who's at least 7 years old and can pass USFS's most basic test, called "pre-preliminary moves in the field," can join VCTI. Skaters may participate until age 25, as long as they're in school. VCTI features a wide range of ages and abilities, and no one is the star — highlighting a single skater is discouraged. Twelve-year-old Sofia Anderson Harrington of Burlington joined VCTI this year. "It's like Sofia got nine big siblings, so it's really wonderful," says her mom, Susan Harrington. Practices start so early because kids have the fewest conflicts during that time, Fillebrown says. Evan Marnell, 14, and Lindsey Kalamasz, 15, get up at 4 a.m. on practice days. He lives in Fairfax; she's nearby in Essex, but likes to have time to get ready before leaving the house at 5:15. By 6:28, some of the parents have gone out for coffee while the kids practice. "All right, go to the beginning again," Harding says. Skaters break into three groups and crouch down on the ice. Their program song, "Monster Mash," starts to play, beginning, "I was working in the lab, late one night ... "
Group by group, the skaters rise. Blades scrape the ice and ponytails fly, all before most kids have even rolled out of bed. 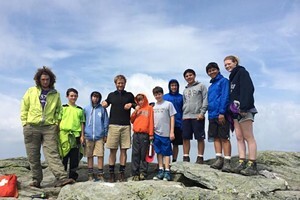 The season's young; join the team! Contact team manager Sharron Scott at srs01240@yahoo.com. Not sure your child is ready? Check out SK8 Across the Stage, VCTI's feeder program for ages 5 to 18. Find more info at enjoyburlington.com and champlain valleyskatingclub.org, 865-7558. "The Gift," Leddy Park Arena's holiday show, December 13, 2 p.m.
"Magical Mystery Tour," May 9, 3 p.m.